So, your child is starting secondary school? You probably have no idea where the time went to , but suddenly you find yourself with a child who is starting secondary school this year. Everybody seems to document the first day at primary school, but by the time the children are starting secondary school, so many mums have gone back to work and there aren’t nearly so many of us blogging about it. Yet, I don’t know about you , but I found this transition the most terrifying of all. My daughter went from a one form entry primary school that we could walk 10 minutes to, to a secondary school 12 miles away, with 150 students in each year and she knew none of them. She started to commute by train and bus, catching her train at 7.08 am …. it was so hard and so terrifying to let her go …. 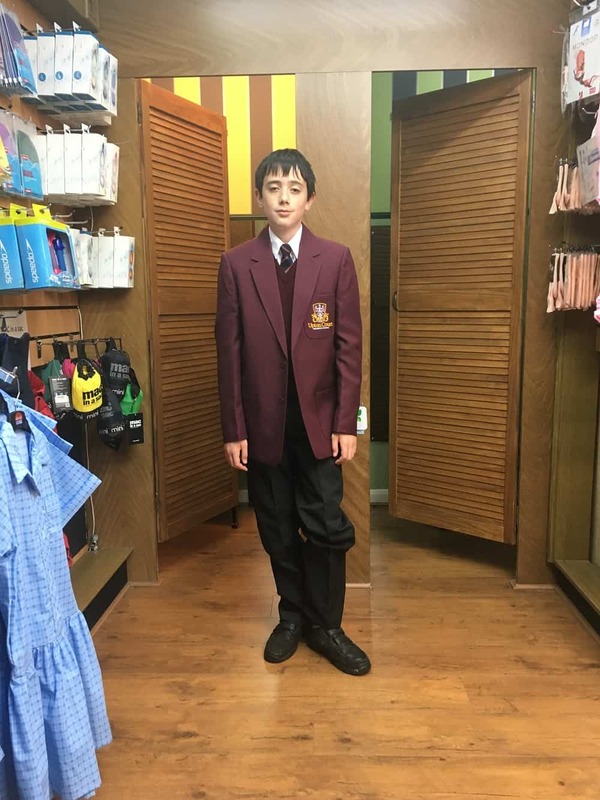 The secondary uniform seems so impossibly big and grown up, and the list of kit they give you that they have to pack and keep track of – it’s hard to imagine that your baby 11 year old will ever get to grips with it all. I’m here to tell you that it does get easier, but you do have to relax a bit and let the transition happen. The more scared you are, the more nervous they will be too. 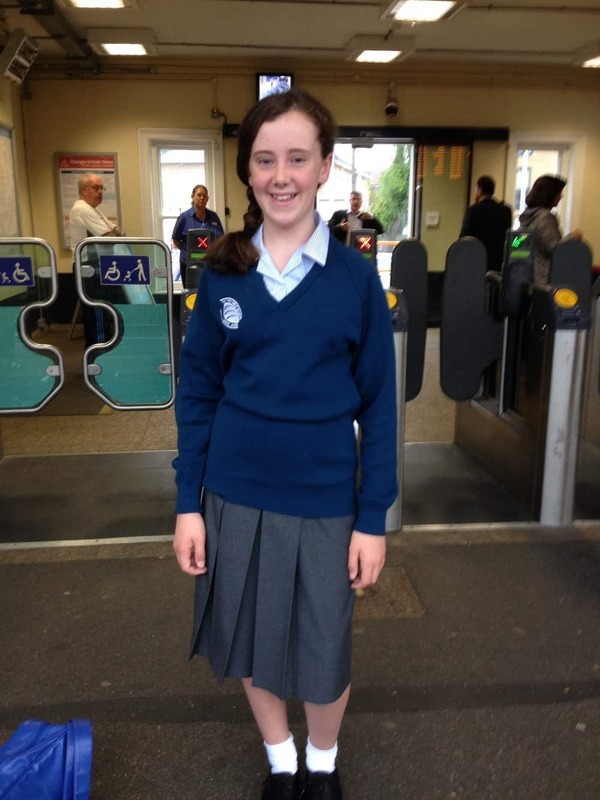 I’m safely out the other end now, with my daughter going into GCSE year 11 (that’s a whole different blog!) and my son starting year 9 at a different school to my daughter which is 10 miles in the opposite direction from her school. Yes, I’m a crazy mother, but they are both settled and happy, and at the perfect school for each of them, and that is the moral of my story. What was terrifying just a very few years ago, just seems like normal now. My babies are now fully fledged teenagers and it’s all fine! So let me give you a few tips. Starting secondary school can be terrifying for you and for your child, but you will be amazed how soon they will adapt and it will all seem normal. These are my top bits of advice. 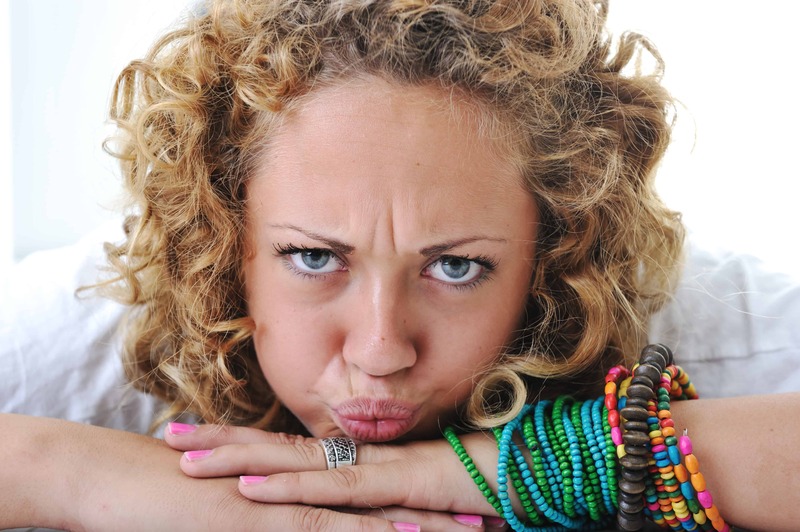 You may be lucky enough to already know some of the parents at your child’s new school. In which case you are very lucky – make sure you use whatever network you have. There will still be a lot of new people for you and your child to get to know and this can be scary for both of you. Any opportunity you get to get to know the parents of children in your child’s class – take it! If you get an opportunity to go along to the school for a parents induction, coffee morning or whatever, be that parent who takes all the names and numbers of the others and gets a Whats App group set up. In amongst those parents there will be one or two that have already put several children through the school, and they will be the ones who will show you how it all works and put your mind at rest. You will get precious little feedback from your child – when they come home they will be tired and possibly overwhelmed. They won’t have paid attention to the things you want to know, and they will be no help at all. But the parents group will be a lifeline. If you can build a network of friends at the school, you will have alternative transport options if public transport breaks down or if things go wrong with your day. You may also hear about things that are going on at the school that your child has conveniently forgotten to tell you about, like a school trip, a mufti day, or a requirement to bring cakes or charity money…. If you haven’t bought your child a mobile phone yet, they will certainly need one at secondary school. Some schools have very strict rules regarding when they can and can’t use their mobiles, but even so, they will still occasionally get to use them in lessons for quizzes and similar, and their fellow students will find it weird if they don’t have one. A mobile phone is particularly necessary if your child uses any kind of public transport to get home. If possible get one on the same network that you have so that you can use Find my Friends or similar. After my son had been at secondary for approximately three weeks, one night he accidenatlly got on the wrong bus home. He phoned me and said “Mum, I was on the wrong bus and I just got off it, but I have absolutely no clue where I am” Thankfully I was able to track him and go and pick him up from where he had got to – good lessons learned for both of us – it didn’t happen again. If your child is going to a school that you have had no contact with before, then it is quite likely that the whole family will be exposed to new bugs and viruses this winter. As the weather starts to get colder and the nights get longer and your child gets more and more exhausted, they are very likely to come home with nasty colds, flu, and sicky bugs, and they will probably share them happily with the rest of the family. The year my daughter started, we were all so ill, with bugs that seemed to hang around longer because we had not built up immunity to them. When my son started at his school, down we all went again with a different round of really nasty bugs. My husband and I were as sick as the children, and I never get ill.
I’m a great fan of essential oils for immune support , but whatever your particular home remedies are, make sure that you keep all members of the family well dosed. Dose them up with multivitamins and don’t forget the nit spray too. One thing that I was worried about when my daughter started secondary was that instead of having a packed lunch which I had lovingly prepared with nutritional balance, she was going to be set loose in the canteen to eat whatever rubbish she chose. Thankfully she found the food in the canteen at her school even more scary than I did, so she has continued with the packed lunches for now, and I know she gets a a good square meal. I still need to watch my son a bit more closely. He tends to spend a lot of money in the canteen and I get a report of what he is eating each day. I do have to talk to him now and again as he does tend to eat a lot of rubbish and not so much healthy food. I send him in with fruit as a snack so at least he eats something healthy in the day. This is one area where it is worth having regular conversations with your child. I found out that neither of mine really have time to eat at lunchtimes. The queues are really long and then they get maybe 5 minutes to eat and its back to the classroom. Maybe not all schools are like this, but it is certainly worth knowing, then if you have to send in snacks you can do so. You may find that your child is less inclined to talk to you when they come home from school each night. If they are introverted like mine, they may need some time when they first come home, to go upstairs to their room and chill out away from all the crowds for a while. But whenever you spot an opportunity, do keep a dialogue open. What are the teachers like, what are the other children like, what’s particularly good, what’s particularly bad? Keep an eye on them too. Are they just tired, or do they seem unhappy? Do you feel like something is bothering them? A mother’s intuition can go a long way here. If you feel something is unusual or wrong, then see if you can get to the bottom of it. Try and keep it casual, but if they do start telling you things , good or bad, then take time to listen and respect their point of view. If they don’t like a certain subject, do they just need more help and home support, or is there a real problem with the teacher? if they are clashing with another student, try to find out what is behind it all. If they are talking about bad stuff that is happening, maybe check it with your Whats App group to see if any other parents are hearing the same thing, then if necessary you can take it up with the school, or provide help if you can. When they get to secondary school, your child is going to start paying much more attention to what their peers are doing, and sadly, less attention to you. You will probably find many more requests to do things that you have not permitted before, and you will find yourself making up the new rules as you go along. What age is the right age to be able to go to town with their friends? What age is the right age to watch a 15 movie? What age is the right age to wear high heels at the weekend or to have your ears pierced ? What age is right to start dating? What is the correct bedtime in term time? How long should be spent on homework each night and how long on screens or interacting with their friends? Can I be a vegetarian? These and many more tricky questions will come your way when they are starting secondary school, and probably much quicker than you expected or hoped. Expect to have your politics and world views challenged, and your religion too if you have one. The other big change though is the workload and the degree of concentration that they will have to start using each day. Most secondary schools have 5 one-hour teaching periods each day – that is substantially more real learning than they did at primary school. Homework becomes much more real, arrives most days and has shorter deadlines. You can expect your child to be exhausted, ovewhelmed and forgetful. Some schools are very hot on homework being done to schedule and there may be many other rules too that they need to learn and get used to. Don’t be surprised if your child racks up bad behaviour points at first – a lot of schools come down quite heavy on the discipline in the first year to chivvy all the children into line. But hopefully your intervention should not need to be long – sooner or later they all adjust to the new way of life and cope in their own way. At the end of the day, whether you like it or not, your little one is growing up and they need you a little bit less than they did when they were small. You still have a lot of things you need to pay attention to, in order to steer them through secondary school (not least a constant demand for money for this and that), but it is nowhere near as hands on as primary, and at the end of the day you really have to sit back a bit and let them learn to fly. Maybe they will make a few mistakes, maybe they will do things they regret and maybe some bad stuff will happen, but that is part of what they are there to learn about. It’s not just the academic lessons, becoming part of a community, finding your place and getting along with others is part of the whole secondary school experience. As for you, you can pay attention a bit more to your younger children if you have them, or enjoy the extra bit of spare time that you get each day. You could take up a new hobby, start a business or a job, or whatever takes your fancy. As your child is starting secondary school, so you can start to rediscover a bit of yourself…. so make the most of it. I thought it was just my daughter’s school until my son complained of it as well. they really need to allow then to eat if they want them to pay attention in the afternoon…..
ah we remember our days in secondary school! sports really plays an important part during this formative years to learn about teamwork and prepare for disappointments and losses in the future. That’s a very good point. Mine are musical rather than sporty, but I do agree that getting involved in some team based activity at school is a really good idea to hep a child settle in. My daughter joined the choir and brass band – my son is in the model wargaming club. These are all great tips especially to calm the parent’s nerves when their child is going off to school to start a new journey. Thank you . I think as parents we feel it even more than our children do! It is scary how fast it goes. Mine are 15 and 13 now and i still remember when they were small – seems like yesterday! I don’t have children but I do remember my time at the secondary school. I was lucky to be in the same building as before, just 5 minutes away from home. That helped a lot. Great tips! Mine are all in college now, and it seems like the years went by in the blink of an eye! It’s frightening just how fast they grow. I wrote this post almost thinking it was last year that my son started but actually it’s two years ago – not possible…. I’m not a parent but I can imagine that this would be a scary transition, though an exciting one! That’s the way with a lot of secondary school uniforms in the UK. When you first dress your kids up in them they look a bit crazy and way too grown up. But somehow they grow into them….. I am not a parent, but this post took me back to childhood. One of the best memories are made in school. I completely agree. I may have chosen schools that are miles apart but my children are having the time of their lives in the ones that they chose. It’s understandable to freak out. It is a huge change. But somehow we have to get used to it, and it’s amazing how quickly it changes from being big and terrifying to just normal… I hope you get the school that you are hoping for. I dont have kids yet so I don’t really know what you must feel, but my sister has two little boys and I remember how much she cried when she was sending them to school on their first day 🙂 You have great kids! Thank you so much. I’m so proud of them but each step they take is terrifying…. It’s much harder for us than for them….. These are some great tips. My older ones have phones for emergencies. I also use a lot of natural products for our immunity. What kind of products do you use? I’m a great fan of natural remedies – my kids roll their eyes at me but i don’t care…..
I’m not quite there as my boy has just started 1st grade of primary school, but your article has been so mind-opening about what’s coming next! Congrats on their first day of school! Thank you for including so much helpful information for when my kids go to school! I have not heard of using essential oils for immune support! That is so interesting. These are great tips!